There have been a few notable movies in the past few months that have earned top marks from Rotten Tomatoes’ scoring system — Oscar darling Lady Bird was up there, and in a surprise appearance, so was Paddington 2. But Black Panther‘s warm critical reception is extra exciting when we consider what it could mean for future superhero franchises. The nearly universally positive reviews, paired with the fact that the movie is expected to pull in around $150 million in its opening weekend, is further proof that a blockbuster doesn’t have to have a white dude starring in it to be seriously successful. Granted, average moviegoers haven’t had the chance to see the movie yet, so the verdict is still out for the audience score. But, here’s hoping they see just as much promise in T’Challa and his squad as reviewers do. A lot like the way Wonder Woman changed the conversation about what people actually want to see in a superhero movie, Black Panther has the potential to shift the genre to be a more inclusive, representative place, and we are so beyond here for it. "[Director Ryan Coogler] infuses nearly every frame with soul and style, and makes the radical case that a comic-book movie can actually have something meaningful — beyond boom or kapow or America — to say." 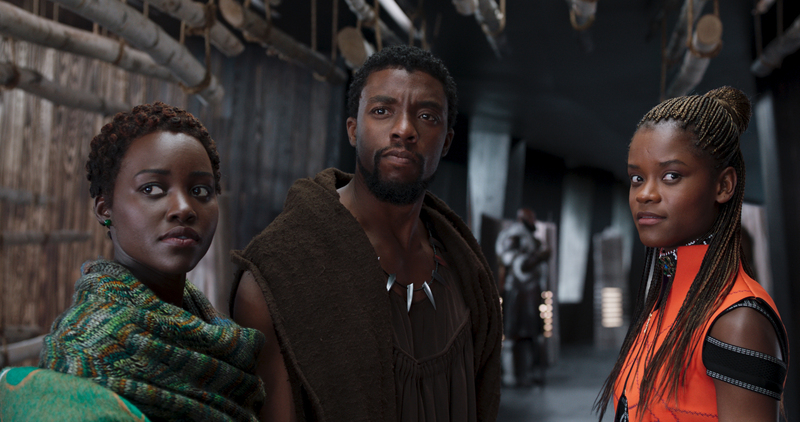 We can be sure plenty of moviegoers are ready to hear exactly what Black Panther and his crew have to say when the movie hits theaters everywhere on February 16th.